Saturday's Indianapolis Symphony Orchestra (ISO) concert at Hilbert Circle Theatre-the second over the weekend-satisfied the demands of high expectation while squelching any lingering apprehension concerning the hype. 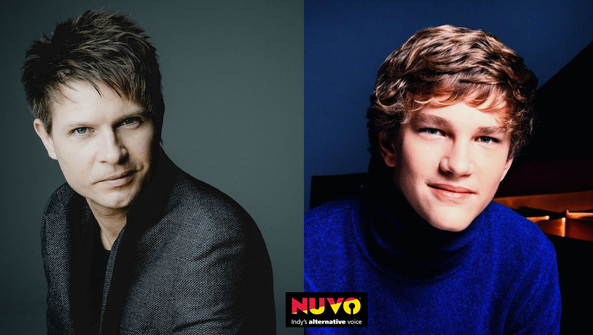 If you add up the ages of Music Director Krzysztof Urbanski, who is in his eighth season with the ISO, and soloist Jan Lisiecki, you still fall short of the average concert goer's number of trips around the sun by about five years. But I don't want to dwell on how young-young for classical music, that is-they are; the merit, as I suggest, was rather in the nuanced, lively, and organic performances of Grieg and Brahms by this incredibly talented pair and the dynamic ISO. A staple of the repertoire, Grieg's concerto is structured with clarity, even if anchored to a standard-issue form. 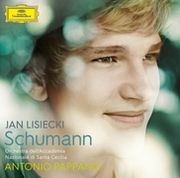 Its genius, though, Lisiecki commented during the pre-concert talk, is in "how simple it actually is." The young Canadian made his orchestral debut at the precocious age of nine; he might be judicious in his aversion to his former "child prodigy" branding, which he has voiced, but his wizardry on the keyboard surely shows the earmarks of an innate gift. 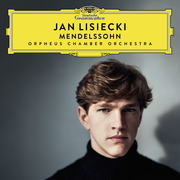 There is a distinctive affinity between Urbanski and Lisiecki, who have collaborated before: taking the tempo on the brisk side, conductor and soloist imparted coherency and completeness to the back-and-forth between orchestra and piano. 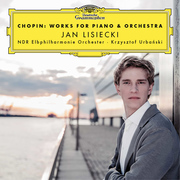 Urbanski, 36, would often throw glances at his collaborator from the corner of his eye; their rapport was expressed in rhythmically interlocked interchanges between piano and orchestra throughout.